ANDROID APPS FOR PERSONAL COMPUTERS & MAC. Now you can run all the android apps in Your PC and MAC. Good news for PC users. 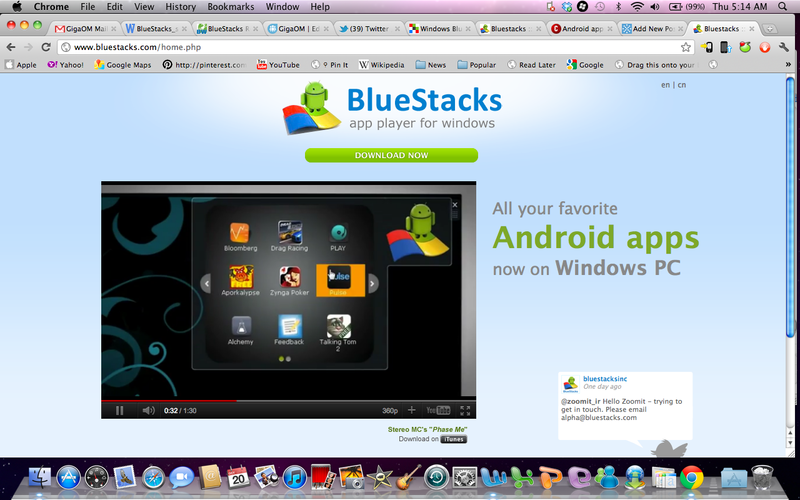 Now Android apps can run in your PC & MAC also by installing the “BLUESTACK” Software. Just install this software and you can run all the android apps in PC’s This is a great software and most useful to all. If you like it. Just share it…………..